Takeaway: New insulating coatings are quickly gaining popularity due to their ability to drastically reduce product vapor loss and volatile organic compounds, while at the same time eliminating CUI. Controlling the temperature in tanks, process vessels and piping is crucial in a variety of industrial sectors including specialty chemical, pharmaceutical and food production. However, perhaps none rely on temperature control more than the oil and gas and petrochemical sectors. The uncontrolled dissipation of energy from storage units usually translates to cost-inefficiencies due to losses associated with unwanted evaporation. Learn more and watch a video for Bonding Liner to Concrete Substrate with Poly-Seam®. Vaporization of crude oil can lead to a loss of valuable hydrocarbon material and contribute to environmental pollution by releasing greenhouse gases (GHG) and volatile organic compounds (VOCs). To address these issues, thermal insulation is used on storage and transportation vessels to maintain the desired temperature within a particular range. Insulation also helps to retain heat within the petrochemical products, thus drastically reduce heating energy costs. Although thermal insulation is a valuable asset, conventional thermal insulation materials can promote a phenomenon known as corrosion under insulation (CUI). This degenerative process is one of the most significant problems facing petrochemical industries worldwide. CUI often leads to several issues including unplanned downtime and expensive maintenance and repair costs. Storage tank insulation typically consists of natural or synthetic materials including organic foams, ceramic fiber, mineral wool, expanded perlite, calcium silicate, etc. These materials, unfortunately, form ideal conditions for CUI. CUI is a severe and aggressive form of localized corrosion that occurs in various insulated metal equipment (usually made from carbon steel and low alloy steel). This form of corrosion occurs when water is absorbed by the insulation and allowed to penetrate down to the steel substrate. Corrosion occurs as the steel reacts with oxygen and the moisture absorbed by the insulation. Depending on the structure and the location of the insulation, CUI can attack the jacketing, insulation hardware or underlying piping equipment. Conventional insulation, which is typically wrapped around the structure in question, is usually encased in a jacketing structure designed to hold and protect the insulation material. However, these components are vulnerable to damage from several external environmental sources such as wind and debris. Damaged jacketing ultimately exposes the underlying insulation to rain and high moisture environments. As water penetrates the jacket, it is readily absorbed by the insulation. Furthermore, the fibrous nature of conventional insulation causes the moisture to spread via capillary action to areas beyond the point of entry in a process known as wicking. Corrosion can, therefore, occur in areas where the jacketing may otherwise seem unaffected. Additionally, when conventional insulation becomes wet or absorbs moisture, its thermal insulating properties are drastically reduced. Because water conducts heat more efficiently than air, an aggressive corrosion cell is created where the trapped heat accelerates the rate of corrosion. Insulating coatings are quickly gaining popularity in the petrochemical industry due to their numerous advantages over conventional insulating material. 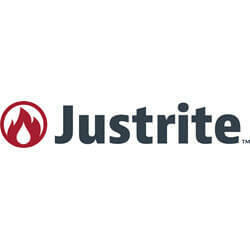 Innovative coatings such as Justrite's TP-2500 use a microscopic matrix of air-encapsulated ceramic particles suspended in a high-grade acrylic binder to provide thermal protection that surpasses fiber-based insulation materials. The microscopic particle structure of TP-2500 works based on the scientific principles of reflectivity, conductivity, emissivity and absorptance. Radiant heat directed toward the insulative coating is reflected in the direction in which it originated. The highly reflective ceramic particles entrap stagnant air in a structural matrix that effectively blocks thermal transfer. Additionally, the low emissivity of the coating results in considerably low heat flux. These factors enable efficient thermal dissipation across the surface of the coating and prevent the substrate from absorbing heat from external sources. One of the main benefits of insulation coatings such as TP-2500 is its ability to eliminate CUI. Insulating coatings adhere tightly to the substrate surface and don't consist of fibrous material. Therefore, they are unable to absorb or collect moisture in the same way as conventional insulation. Although insulation coatings are susceptible to mechanical damage, the affected area is limited to the point of impact. This is easy to detect and to spot repair because moisture cannot spread below the coating, in contrast to fibrous coatings where small damaged areas can lead to wicking and the eventual spreading of moisture to other areas of the metal's surface. Insulating coatings can be sprayed on and applied to boilers, pipes and various industrial surfaces in addition to tanks and vessels. This allows for a thin, aesthetically pleasing and seamless surface finish compared to other types of insulating materials. In addition to effective CUI prevention, insulating coatings can significantly reduce vapor loss in fixed and floating roof storage tanks because the surface temperature can be more effectively controlled. This eventually equates to better yield, a higher quality product and increased revenue. Minimized vapor loses can also help petroleum companies comply with the United States Environmental Protection Agency (EPA) regulations pertaining to volatile organic compounds and greenhouse gas emissions. Studies and testing have shown that insulating coatings can help reduce vapor loses by as much as 30 percent. CUI is a growing concern in several industries where equipment is wrapped with fiber-based insulation. Fortunately, innovations such as Justrite's TP-2500 insulation coating help to eliminate the formation of this type of corrosion. Its thickness and highly reflective microscopic matrix of air-encapsulated ceramic particles helps to control heat transfer, prevent moisture from spreading to the substrate, reduce product vapor loss and drastically reduce volatile organic compounds and greenhouse gas emissions.